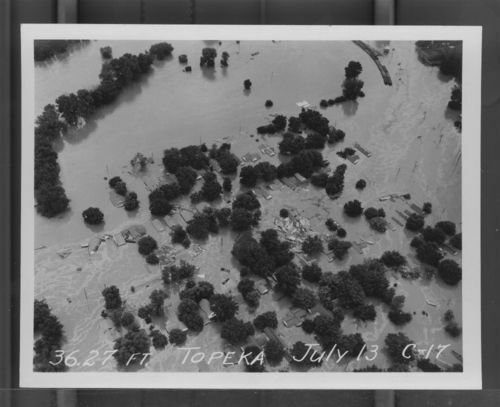 An aerial photograph showing Little Russia during the 1951 flood, Topeka, Kansas. The Kansas River is at 36.27 feet. Creator: Wolfe Commercial Photo Service 631 Jackson St., Topeka, KS.